Elections are held as scheduled by the Office of the Secretary of State. 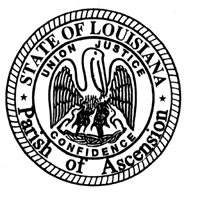 The Clerk of Court encourages residents of Ascension Parish to serve as Election Commissioners at the various voting precincts.Interested persons must attend one evening session to become certified as a Commissioner. Schools for new Commissioners are generally held twice a year. An Election Commissioner shall receive $200.00 for each election in which he/she serves. Be a qualified voter of Ascension Parish who is not entitled to assistance in voting. Not have been convicted of an election offense. A Person interested in becoming a Commissioner-in-Charge must posses the same qualifications as a Commissioner and also shall have successfully completed a general course of instruction for Commissioner-in-Charge and shall have served as a Commissioner in at least two elections during the last four years. Commissioner-in-Charge school is held once a year during the period beginning August 1st through the end of December. A Commissioner-in-Charge shall receive $250.00 for each election in which he serves. If you are interested in becoming a Commissioner, contact Stacy Sagona by e-mail at ssagona@ascensionclerk.com or by phone at 473-9866 or 621-8400 ext. 223 with your name, address and phone number. To locate your polling location go to https://voterportal.sos.la.gov or download the mobile app GeauxVote. Election dates scheduled for 2019: March 30, May 4, October 12 and November 16. Dates are subject to change by the Legislature. Please call our office if you have a question about a particular election date.